Successfully Added Ulefone U007 Android 6.0 Smartphone - 5 Inch 720P IPS Screen, Dual SIM, Sony Camera, Quad Core CPU (White) to your Shopping Cart. 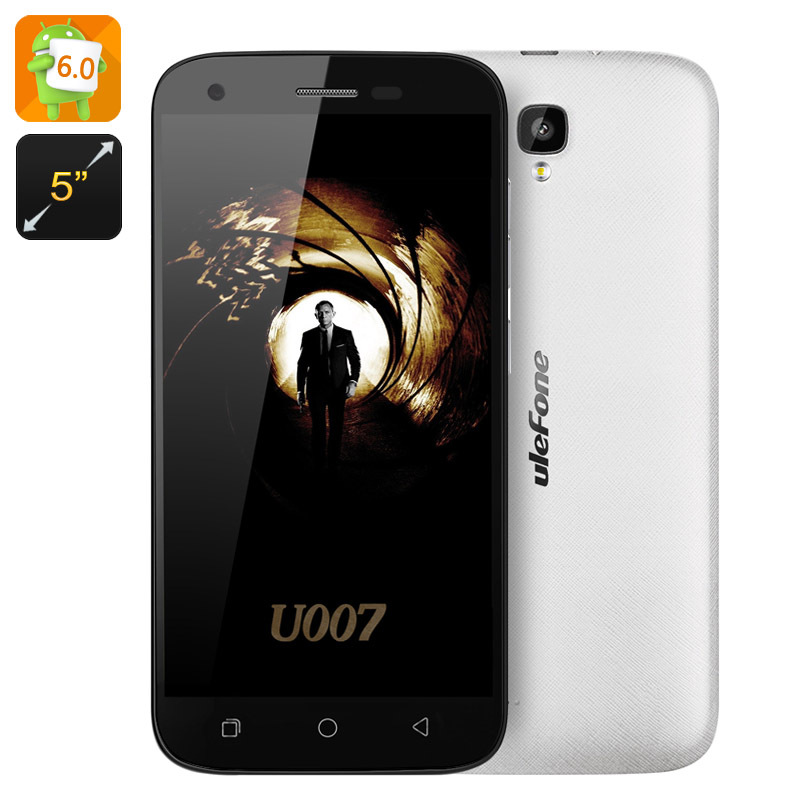 The Ulefone U007 is here to save the day, just like the secret agent of the same number, James Bond, this Smartphone is a real smooth operator. Sporting a quad core MTK6580 ARM CPU, it's not quite as fast as an Aton Martine, but its darn close. The Uni-body design is strong and lightweight while with Corning Gorilla Glass 3 protection the U007 Smartphone won't suffer from scratches and can certainly roll with the punches. A 5 inch IPS display brings vivid colors and a bright interface that displays all content wonderfully with its 720P resolutions. Running on the Android 6.0 (Marshmallow) operating system with enough features to impress those a Q Division. Smart Wake will see you access apps by simply drawing a character on the screen. With SONY IMX149 camera the U007 Smartphone from Ulefone ensures great quality pictures and with LED flash you can capture better images ion low light conditions. A removable 2200mAh battery brings the phone plenty of usage time while dual SIM support eases organization letting you run multiple numbers at the same time and manage work and personal contacts ease. The Ulefone U007 comes with a 12 months warranty, brought to you by the leader in electronic devices as well as wholesale China Smartphones..